Spanish born Marcelino Garcia Toral – known simply as Marcelino – took over at Valencia in the summer of 2017, becoming their sixth head coach in only two years. The 53-year-old (below) has spent both his entire playing and managerial career within his native Spain. 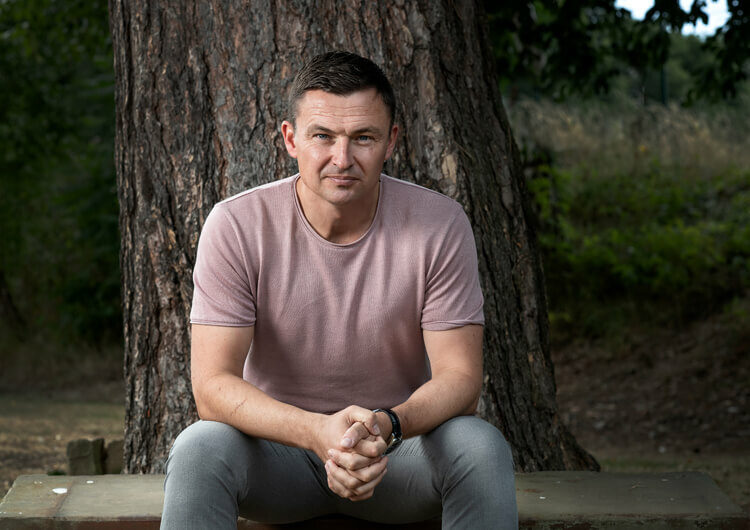 Injury forced him into early retirement from playing at just 28, but he has since enjoyed a 20-year career in coaching. 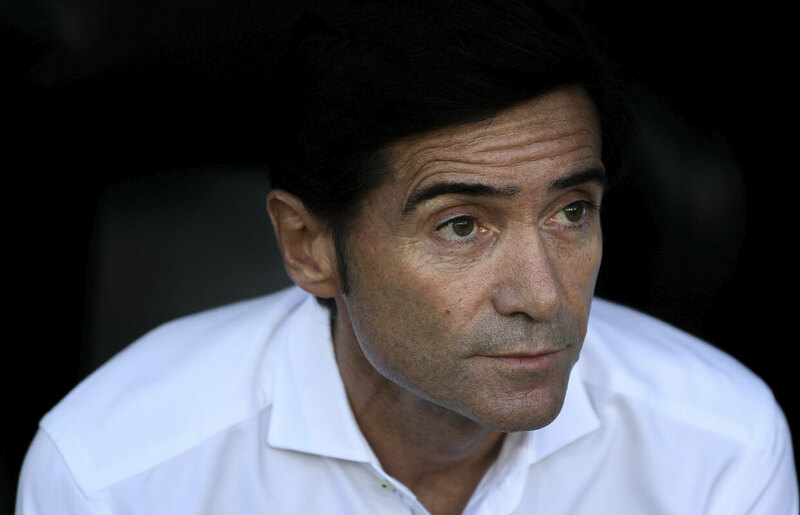 He may still be waiting for a first trophy at the top level, but Marcelino has won promotion with Recreativo (where he won the Spanish Segunda Division in 2006), Real Zaragoza and Villarreal. In his first season at Valencia, he guided Los Che into fourth place – only three points behind Real Madrid – and into the Champions League for the first time in three seasons. After moving away from the 4-2-3-1 formation used by his predecessors, Marcelino introduced a 4-4-2 structure in which he prioritised solid defensive displays and powerful transitions and attacks forward. Vertical football – where players look, run and play forwards – is of paramount importance, but his Valencia team has still maintained a slick Spanish passing style within their attacks. Physique and stamina are also crucial to Marcelino’s training curriculum, as an overhaul of the club’s dietary system was introduced on his arrival. His methods have certainly reaped rewards, although Valencia have started the new La Liga season slower than their head coach would have liked. Marcelino has continued with his preferred 4-4-2 formation (above) in the early stages of the 2018/19 season. 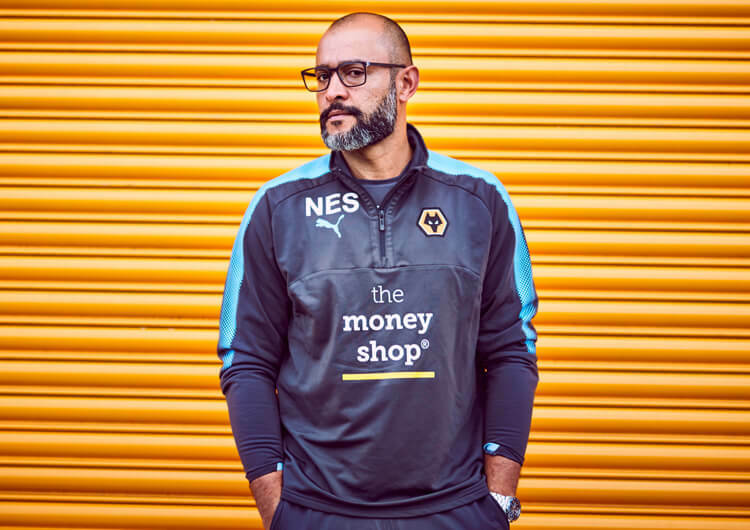 After a significant clear-out in his first summer transfer window, the head coach continued to add new names to his first-team squad as his second season in charge got under way. Italian defender Cristiano Piccini joined from Sporting CP, and has since become the first-choice right-back. Young central defender Mouctar Diakhaby also joined from Olympique Lyonnais in the summer; the 21-year-old adds aerial power to the Valencia back line, while his splitting vertical passes can progress the ball from defence into attack quickly. Academy product Jose Gaya and club captain Dani Parejo have both turned their form around under Marcelino, having had their commitment questioned under previous regimes, while there is now strength in depth in midfield. The likes of Carlos Soler and Daniel Wass can play different roles against different opponents, adding to Valencia’s variety in attack. Valencia also possess tricky wide players such as the on-loan left-footer Denis Cheryshev – who scored four goals for Russia at the 2018 World Cup – and right-footed Goncalo Guedes, both of whom are looking to revive their careers after disappointing respective spells at Villarreal and Paris Saint-Germain. Chelsea loanee Michy Batshuayi (above, right) adds strength and power to the front line, with Kevin Gameiro looking to stretch with runs in behind. Santi Mina adds pace, but can also drop deeper to link play with midfield, while Spanish international Rodrigo (see below) adds creative movements to support and link with the midfield. Valencia have struggled for goals so far this season – a new problem for Marcelino, as his team was outscored only by Barcelona, Real Madrid and Real Sociedad in La Liga last season. When they are on form, Valencia do have success on the flanks when attacking in their 4-4-2 structure. Both wide midfielders regularly remain wide, even if the ball is on the far side. 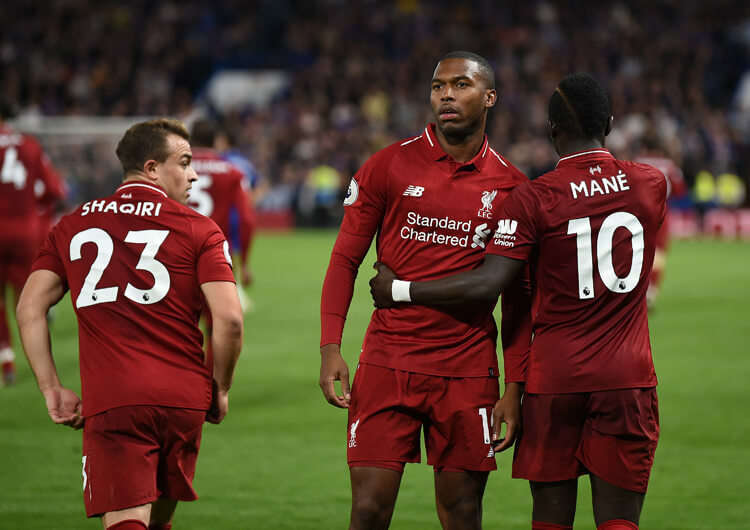 From here, both central forwards can pin the opposing central defenders, as opponents will then often look to drop a defensive midfielder back to create a three-on-two overload. This can benefit Valencia, as their own central midfielders can then play two against two in the central lane, providing either quick short passing combinations, or longer switches out to the opposite winger. By maintaining full width, Valencia get attacking success from late runs into the penalty area from the far-side winger. Exploiting a static full-back with late runs gives the attack extra momentum to attack incoming crosses. Targeting the spaces inside the likes of Ashley Young, Luke Shaw or Antonio Valencia could prove useful when it comes to facing Manchester United in this season’s Champions League. Valencia are also an effective attacking unit during moments of transition. Last season, they regularly demonstrated how they can quickly turn defence into attack with incisive forward passing. Creating a congested block with two units of four, Valencia can slow down and frustrate the opponents attack, through heavy numbers blocking within their defensive third. From here, spaces open up as teams become more expansive, creating spaces for fast and direct players such as Gameiro, Guedes or Mina to drive forward and attack from deep. With Marcelino deploying a 4-4-2 structure in both attacking and defending moments, Valencia’s central midfielders will naturally become outnumbered when up against a 4-3-3 or a 4-2-3-1. Their ability to reduce the distance between their midfield and defensive units is a real strength to combat this. 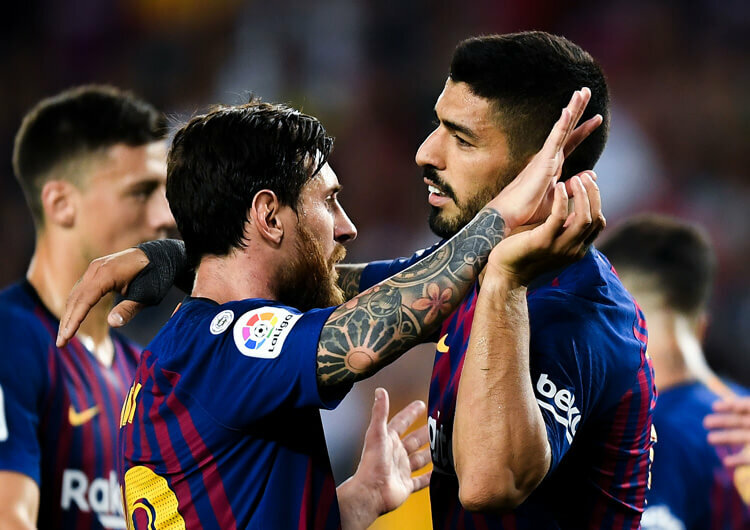 However, this can reduce their ability to effectively counter-attack from deep, as the two strikers can then become isolated on the transition. When up against Manchester United – who are happy to concede possession and drop into a defensive block – Marcelino will have to organise his defensive unit to not concede space to the likes of Alexis Sanchez, Paul Pogba or Jesse Lingard, all of whom look to roam and receive between the lines. Throughout the back line, Valencia are weakened when dealing with lofted balls into the space in behind the defence (above), as their central defenders in particular struggle to turn and accelerate in behind. Fast and direct players such as Anthony Martial, Marcus Rashford and the aforementioned Sanchez may find themselves with chances to score, should United be able to exploit this area. Paul Pogba’s early forward passes could be very useful here, should the French World Cup winner be named in Jose Mourinho’s starting line-up. After moving to Spain in his teens, the Brazilian-born Rodrigo (above) worked his way through the youth system at Celta de Vigo, before then moving to Real Madrid at 18. A short stay in the Spanish capital prefaced a five-year spell with Portuguese giants Benfica, from where he was loaned out first to Bolton Wanderers and then, four years later, to Valencia. His return to Spain with Los Che was confirmed in the summer of 2015. 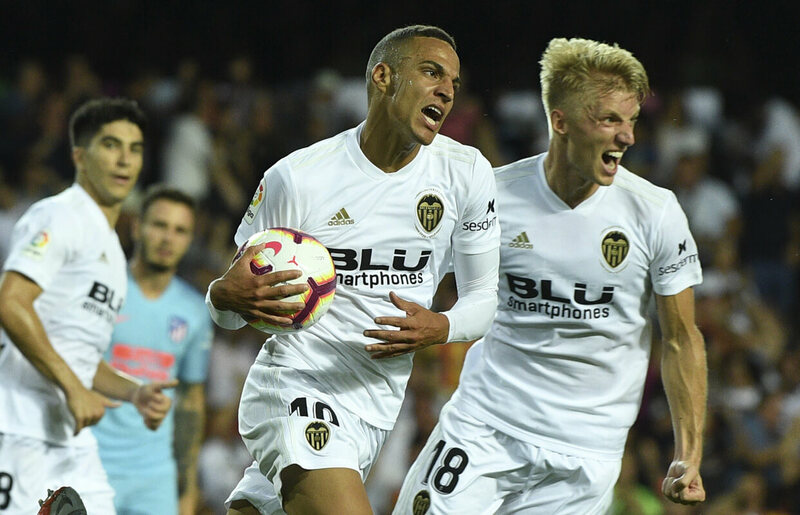 Rodrigo was Valencia’s top scorer last season, hitting 16 La Liga goals – the first season in his career he hit double figures – as his team grabbed the final Champions League place. On the back of this, Rodrigo’s international career has also profited; the forward went to the World Cup in Russia and has started the last two games for Spain in the new UEFA Nations League, scoring in victories against both England and Croatia. The 27-year-old’s movements to create space into which central midfielders can burst forward is a key asset to this Valencia side. Playing a 4-4-2 requires box-to-box type central midfielders – and, in this squad, Rodrigo is a forward whose well-timed runs can create the space his deeper-lying teammates need to break into. When receiving, he also links well with the midfield, often disguising his turns or passes to great effect. First-time passes round the corner are a trademark move, and he will then spin off to receive again (above), continuing to penetrate in behind and shooting on goal. Even though he prefers to assist in the short build-up, Rodrigo is more than capable of running in behind to help stretch an opponent’s defensive units. The majority of Rodrigo’s goals are hit early, as he looks to catch both defenders and goalkeeper out. 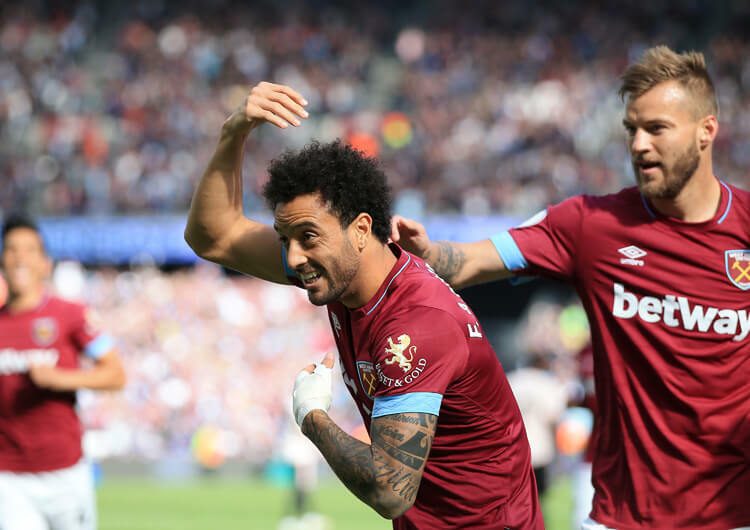 From his last 10 goals, only one has been scored by taking more than two touches; his ability to shoot low and hard on his left side (below) is a particular strength that any opposition would do well to guard against.